Mineco is an international group focused on the natural resources sector. Established in 2003 we operate in three key areas: base metal mining, commodities trading and the smelting & refining of metals. Mineco was established in 2003 and now employs some 2,000 people in 8 European countries. Commodity Trading – Through our London, Zug and Moscow offices we procure, market and move non-ferrous & precious metals (including all of our own concentrates and metals). 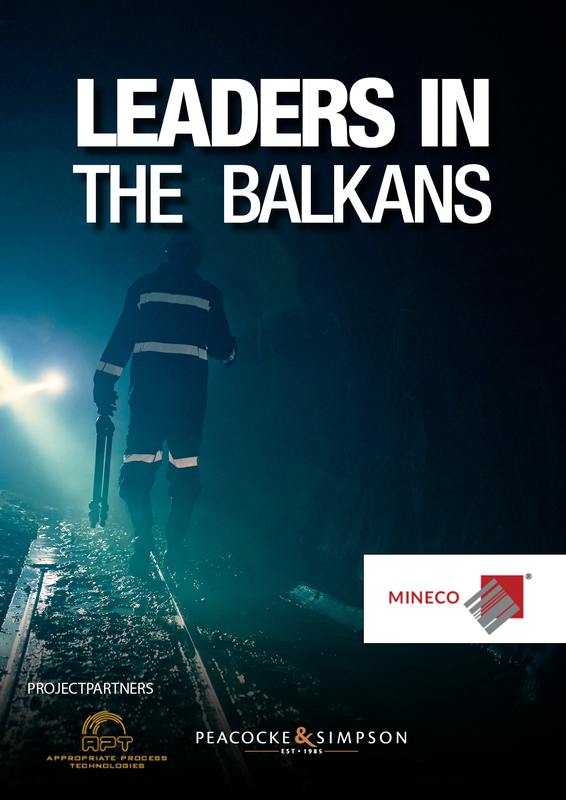 Base Metal Mining – Mineco Ltd operates 4 mines in Bosnia and Serbia. Furthermore Mineco’s in-house Project Delivery Team are working on several development projects in the Western Balkans. Smelting & Refining – Mineco Group owns the Fregat secondary lead smelter in Russia. Located in central Serbia Rudnik was acquired through privatisation in 2004. Producing lead (with silver grades), zinc and copper Rudnik processes some 250,000 tpa. Situated in Eastern Bosnia & Herzegovina, Gross was awarded the concession to operate the Sase mine in 2005. With 6.7 million tonnes of reserves and a further 20 million tonnes of resources Gross is Mineco’s biggest mine. Located in Western Serbia, 10 kilometres from Gross mine, Veliki Majdan was acquired from liquidation in 2007 with production restarted in 2010. Whilst a smaller mine than either Rudnik or Gross, the very high silver grades support continued investment into this operation. A polymetallic lead and zinc mine, located near the border to Bulgaria and Macedonia, approximately 400km from Belgrade. The project was re-started in 2017 and with over 2 million tonnes of reserves, the production is expected to increase to 240,000 tpa. Approximately a 50 minute drive from Sarajevo, the Olovo project is a monomineralic narrow vein lead deposit, hosted in triassic carbonates. Mining production started in 2018 and the completion of the processing facility is planned for summer 2019. Mineco acquired, in 2011, the Fregat secondary lead smelter located near Moscow in Russia. After substantial investment to finish the process construction the smelter has capacity to recycle the lead from 170,000 tonnes of used lead-acid batteries per year. Using latest technology Fregat is the largest high-grade lead producer and one of the most environmentally friendly scrap smelters in the Russian Federation. Through the Project Delivery Team, a team of mining professionals all with extensive international experience, a number of new mining projects are under development. The lead mine in Olovo, Bosnia & Herzegovina is currently in the development stage and when complete, will result in a 25% increase in Mineco’s mining operations. Further projects include a greenfield poly-metallic base metal mine in Serbia and a brownfield antimony mine in Bosnia & Herzegovina.